A magnificent McKinley-Roosevelt jugate from 1900 with classic design. 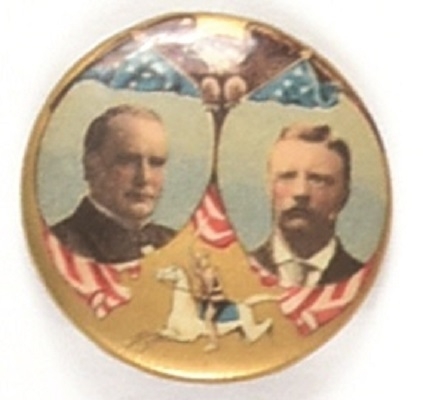 This 1 1/4 inch celluloid is the McKinley-TR Rough Rider pin, picturing eagle at top and Rough Rider at bottom. Beautiful color, Baltimore Badge back paper, excellent condition. Robert Maguire collection.